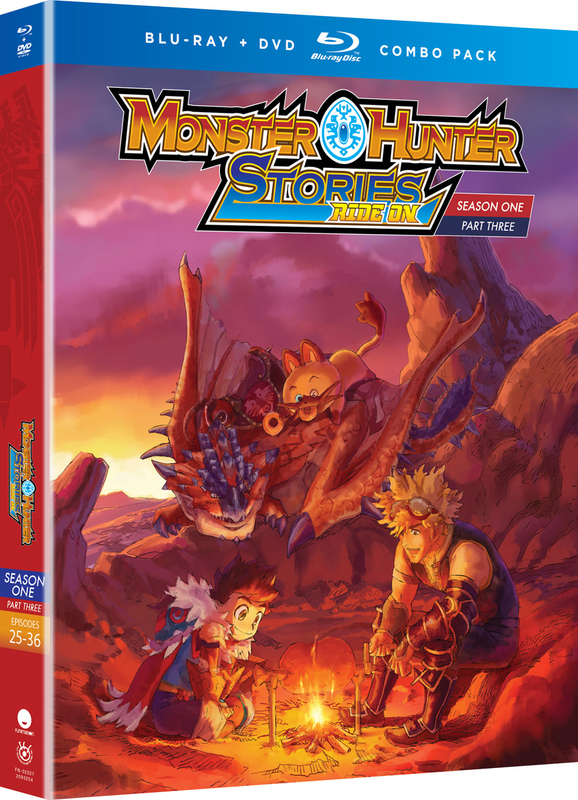 Monster Hunter Stories Ride On Season 1 Part 3 contains episodes 25-36 of the anime directed by Mitsuru Hongou. After witnessing how infected Kinship Ore affects the land and its monsters, the Riders part ways with differing ideals—should they save the blighted Monstiesor slay them? Lute and his pals learn that the Black Blight outbreak may have happened once before, so they seek out a mount fit for a prophetic hero. But their quest won’t be that simple—Dr. Manelgerhas dastardly plans that will test the very meaning of Kinship. Even in times of struggle, though, there’s room for fun, friends, and donuts! Special Features: Trailers and Textless Opening Songs.